Let's be honest: anyone can "throw a party," but few know how to set up a true shindig! What's the difference? Well, we're thrilled you asked! A party is an informal gathering for the purpose of merrymaking. But a shindig is a lively affair that truly celebrates something! Like...Halloween, for example. So how do you take your night from "chill vibes" to "epic and going viral?" Easy! You go above and beyond to create a sensory experience your guests will never forget. Think above and beyond typical Halloween decor of streamers, strobe lights, and tombstones. 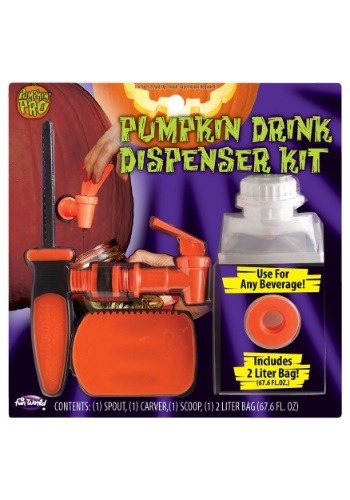 Take this Pumpkin Drink Dispenser Kit, for instance. Anyone can serve punch out of an urn, but it takes a true party master to turn a real pumpkin into a place to imbibe! This clever kit should be on your supply list! 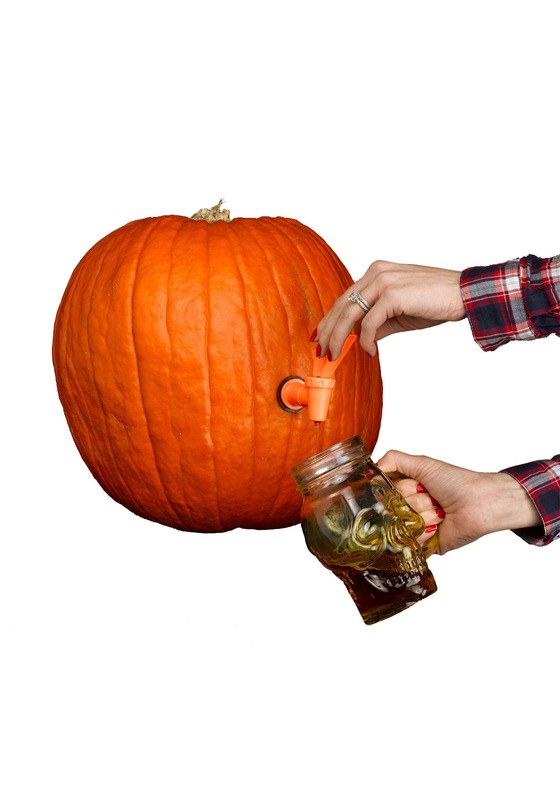 It comes with 1 spout, 1 carver, 1 scoop, and 1 2-liter bag, and can turn your prized pumpkin patch pick into a much-used centerpiece of the evening. Trust us: try this neat trick and see how many times you're tagged in people's photos of your event! So don't waste another minute on cheap plastic drink containers. This kit will give you the perfect place to pour your libations, and set the stage for an epic event folks will be talking about for years to come!